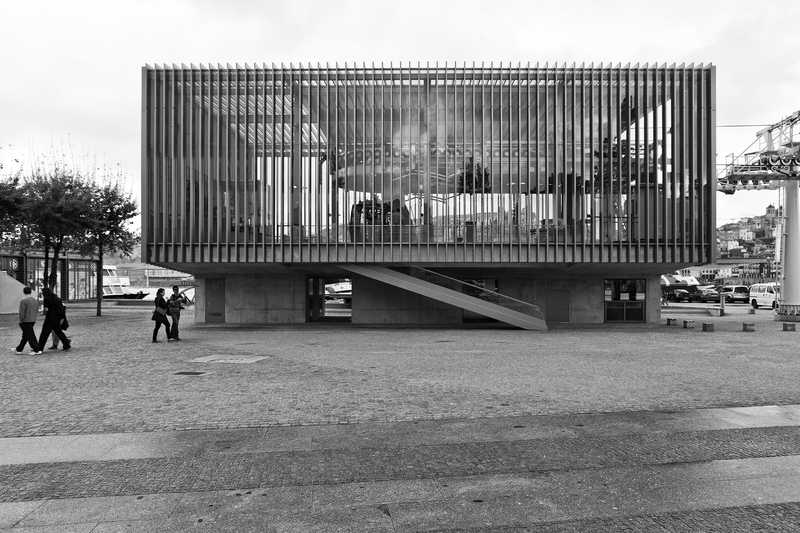 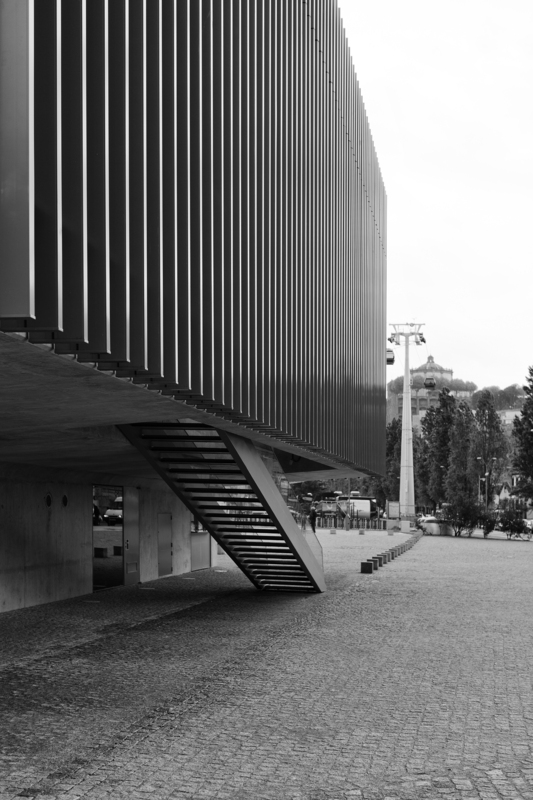 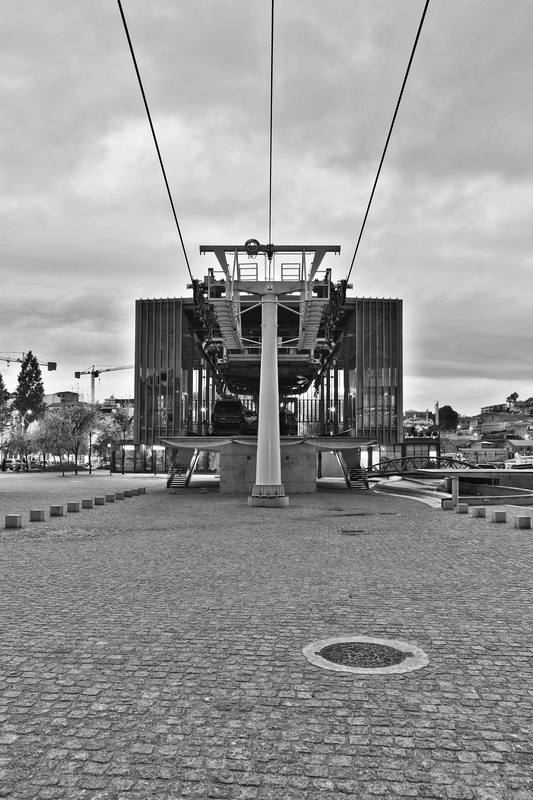 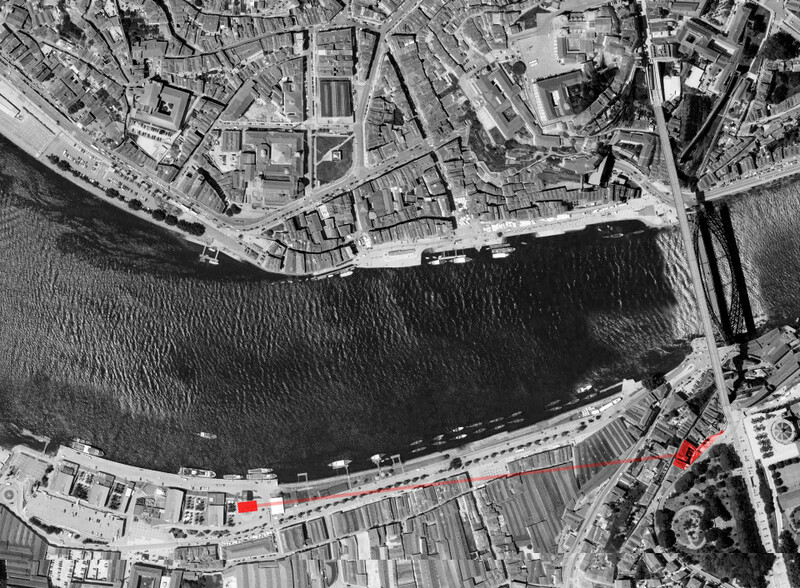 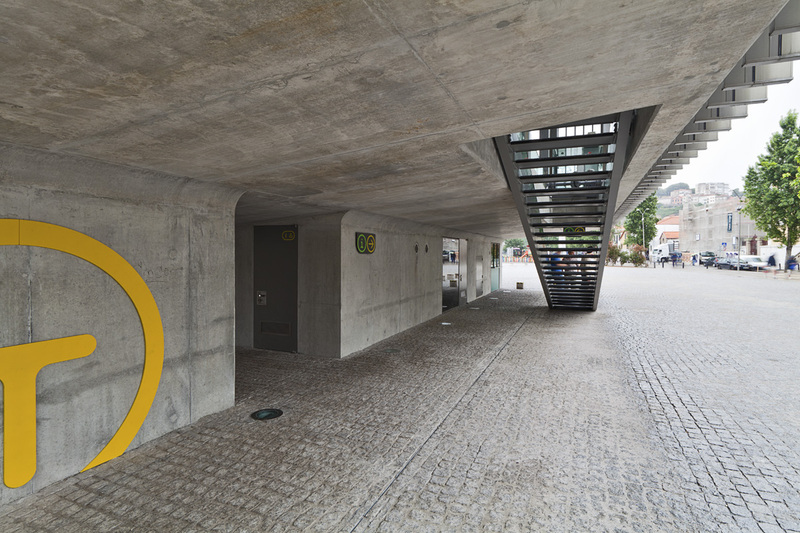 The introduction of the base station building in the vicinity of the Douro river favours the public use of the space by improving accessibility, which also contributes to the conception of the raised piece that constitutes the boarding platform of the cable car.The architectural concept of the base station resides in a simple and pragmatic structure inspired by the skeleton of a ship: a steel frame with vertical aluminium slats suspended above a central structure in concrete, which forms two large projections. 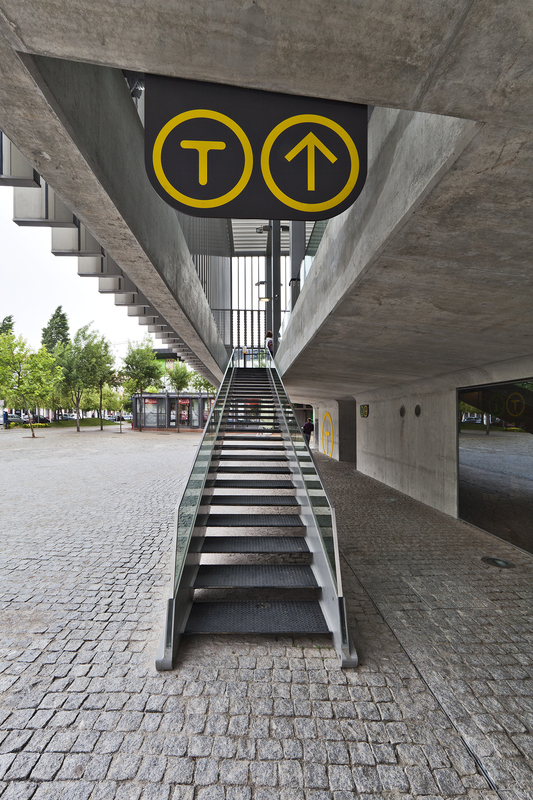 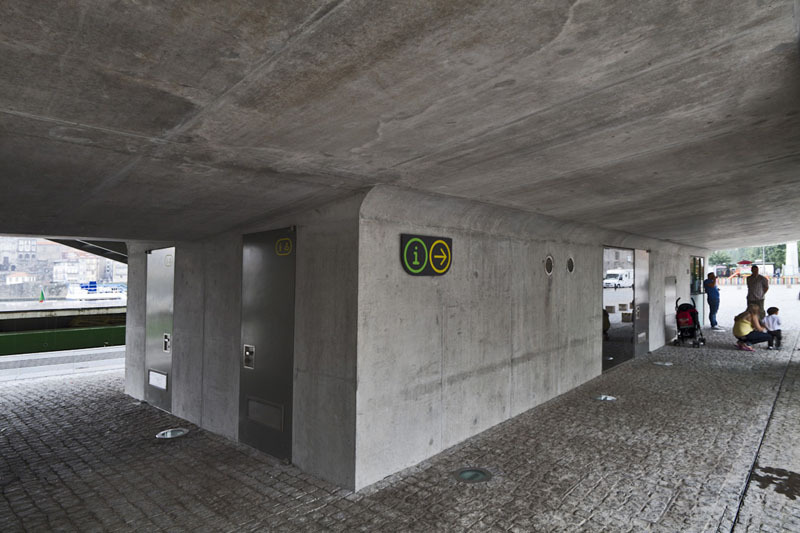 The placing of two lift able stairways serves to protect the building when the service is closed, without the need for fences and ensures the security of the space. 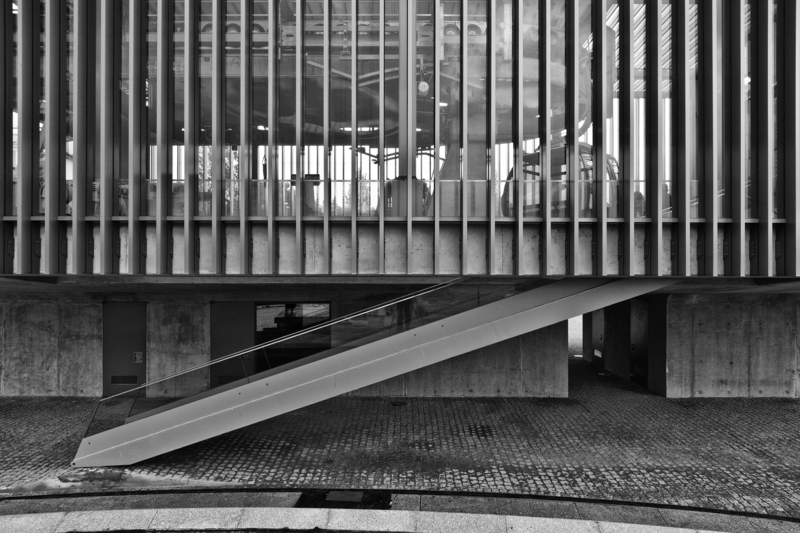 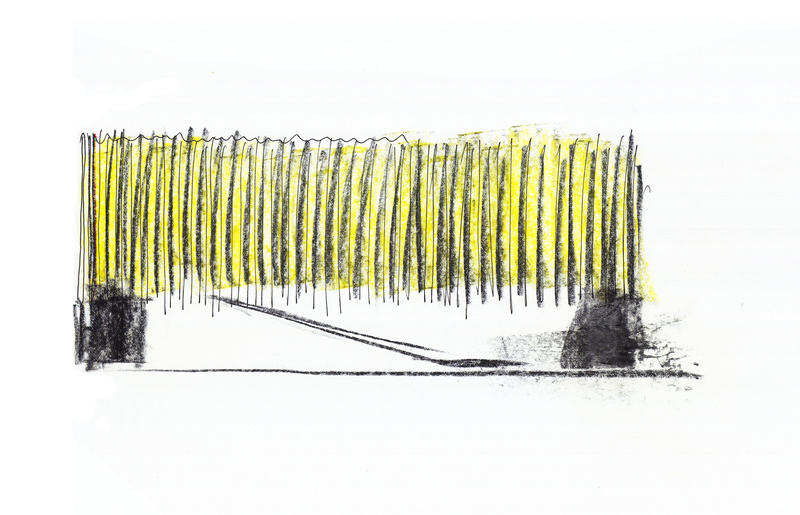 The architectural form arises as a result of the axial nature of this type of equipment, where the immaterial axis – the movement along the trajectory – coincides with the physical and structural axis of the building that incorporates the posts of the station. 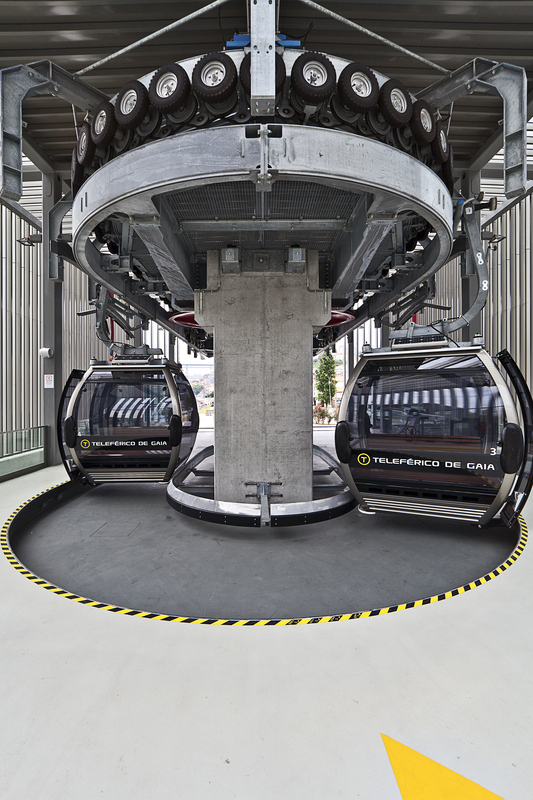 The supporting structural axis of the buildings is also the axis of the facilities, concentrating the different support facilities of the cable car(ticket office, information desk, toilets, kiosk), while the boarding platform appears raised. 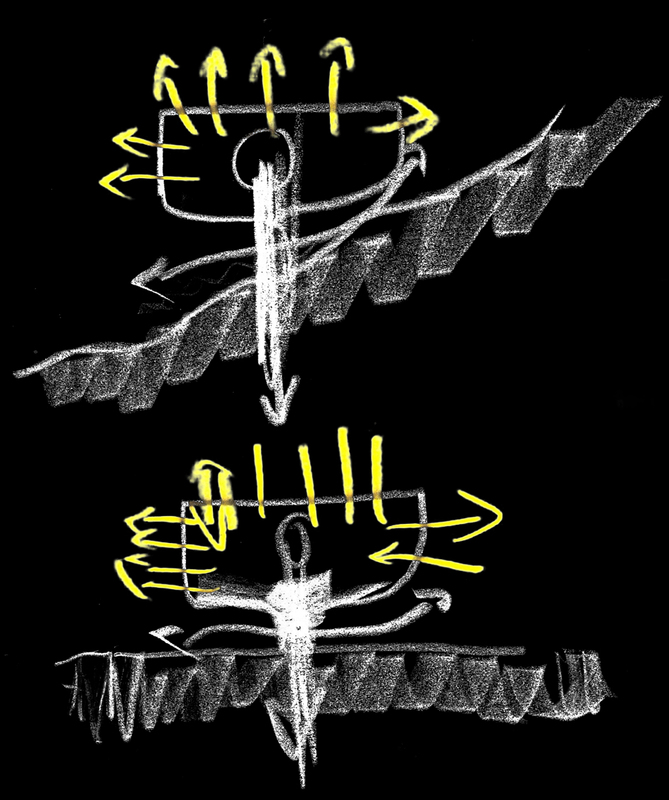 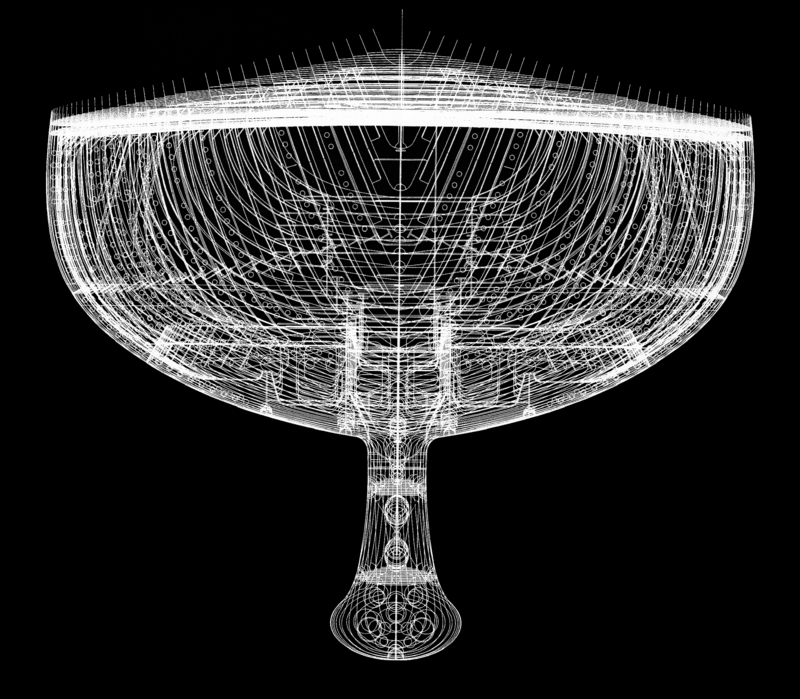 The rhythmic form given by the striping confers a mutant appearance on the object, with soft optical effects of transparency and opacity according to the observation point and according to the changes in light throughout the day, introducing the rhythm, the cadence, the time, how much can be seen and how much is hidden.